Peruvian cuisine is special and wonderful and if not underrated in the United States, at least hard to find. When I was in Peru, I was grateful for the amazing flavors and new experiences. I saw and ate my first purple potato and loved how proud the people are about the variety of potatoes grown in Peru. So the food – Peruvian Corn, Purple Potatoes and flavorful meat and fish are part of my experience and part of the magic of Peru. Anticuchos are a traditional and popular Peruvian specialty – basically, marinated meat on a stick. In Peru, they’re easy to find in restaurants and street carts. In New York, to try Anticuchos and everything else, you should go to Nuela, 43 W 24th St, NYC. Anticuchos made with beef heart are the most popular variety. Americanized versions steer clear of organ meat and at Nuela, they’re with Beef Lomo (Tenderloin). But if you have the chance to try them, I suggest you don’t ask too many questions and just take a bite. They serve Pisco cocktails and the margarita? It was good. A little sweet but fresh. But the food is the show stealer here. 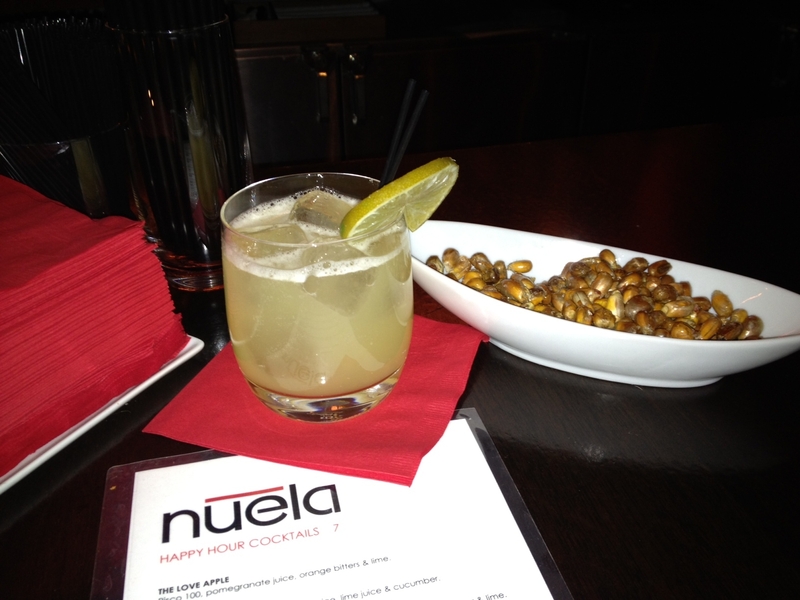 So check out Nuela and fall in love with Peruvian cuisine. And, NYC, it’s great for groups! Grilled chicken hearts is one of my favorite anticucho!